What an awesome keyboard! LOTS of macro keys and great Logitech software to back it up. Hooks right into the same Logitech Gaming Software you're using for your Logitech mouse. The RGB is fully programmable on a per-key basis and all RGBs are fully functional. 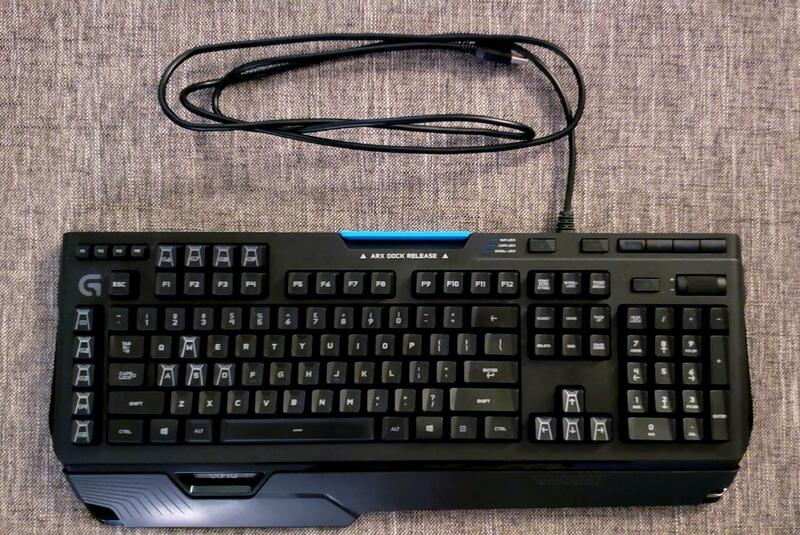 It has Romer-G switches, which are tactile without a hard click (e.g. similar to Cherry Brown switches). It does show some normal signs of wear (e.g. spacebar) but has been thoroughly cleaned. This is the model with the special concave keycaps.